Many cases related to Lotus Notes data have been encountered by me and my team. During the investigation, we noticed that there is a treasure of information in the form of NSF database. To make it more clear, I will have to narrate the whole experience. Most of the times, clients arrive with just Lotus Notes account credentials and demand to find out the evidences from suspected person’s email account. Lotus Notes has its database in NSF format, storing – emails, contacts, tasks, calendar, notes, & journals. 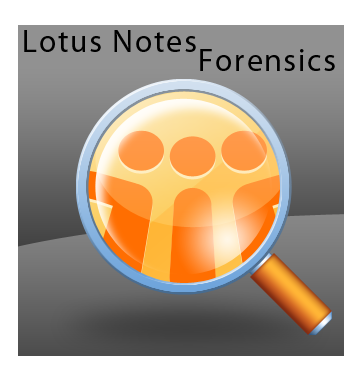 From a forensic point of view, the evidence can be hidden in any of the Lotus Notes elements. Lotus Notes is a good email client for sending and receiving mails and manages data well, but there is no easy or manual way to find out evidences secluded within. The file extension used by Lotus Notes for its database is difficult to work with. Due to the various drawbacks and complexities attached to NSF file format. Like; if an account is password protected, the user id file has to be browsed for login. Without that id file no one can access that particular account’s database. Also security complexities create hurdles during analysis. 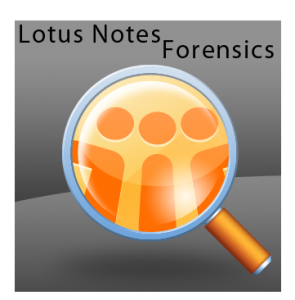 For case analysis, we need to find an application that makes the tedious Lotus notes NSF forensics investigation an easy task. As, it is very important to give out instant results to catch the culprit. For that my team members along with me, researched and found out a solution to analyze NSF file format. Convert NSF to PST File: The Whys & Wherefores? During our research process, we analyzed that, there is a another email client that works quite similar to Lotus Notes. The email client is Microsoft Outlook and it uses a file called PST (Personal Storage Table) which is quite simple to analyze as compared to the NSF format database. The PST is a format for Outlook to store contents of a particular user account. All the versions of Microsoft Outlook support PST format. We can simply use an external exporter to migrate NSF file to PST format. There are various tools available that perform migration but only a few that guarantee a successful conversion. We used a few tools, and came up with an idea which really helped in Lotus Notes forensics, i.e. the Lotus Notes to Outlook Converter. Migrate all NSF Items Successfully: The software is well capable to migrate all the items in NSF database folder to PST format which includes emails, contacts, calendar, journals, tasks, & notes. All the items will be exported successfully to outlook PST Format with all the original details and structure of the folders. Filtering Option:Using this Advanced level filtering, the Lotus Notes Forensics become easier and quicker to find suspected files. Filtering can be done on the basis of date by setting To and From, by checking or un-checking the Exclude Deleted Items option deleted folders can be excluded or included for the investigation. Advance Level Setting: Using Advanced level features you can get information about internet header, NSF encryption file type, information in HTML format & Rich Text Format. All such information is very helpful for a forensicator. Attachments & Meta properties: There is a different option to analyze attachments of respective files. Attachments like PDF file, Document file, Audio, Video, Images, etc can be viewed for performing Lotus Notes Forensics after NSF to PST conversion. Meta properties of file can also be analyzed using this application. It is recommended to use this tool by those who are facing inconvenience in performing Lotus Notes NSF Forensics. The simple way is to use Lotus Notes to Outlook Converter and search out the hidden evidences out of suspected files. The tool is already trusted by various government agencies with best results. Also, the utility has helped us to put the culprit behind the bars which makes it all the more relevant to be used.